Partners of the project: leader partner – Siauliai Tourism Information Centre (Lithuania). 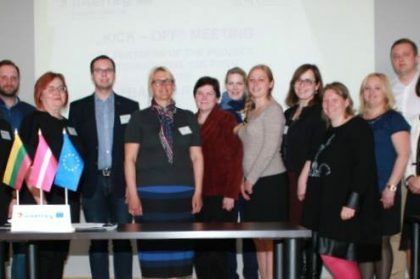 Partners: Zemgale Planning Region (Latvia), National Regions Development Agency, Siauliai branch (Lithuania), Kurzeme Planning region (Latvia), Talsi Council Municipality, Talsi District Museum (Latvia), Jelgava City Council (Latvia). Budget of the project: 763 402.38 Eur, 648 892.00 Eur of them – from EU structural funds. Funding sources of the project: Partners‘ funds and European Regional Development Fund. 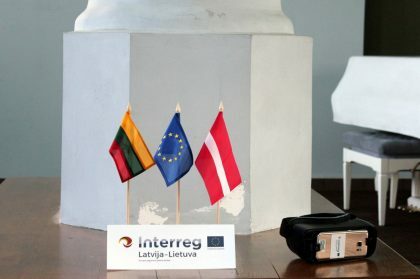 Project implements Interreg V-A Latvia – Lithuania Programme’s 2014-2020 I Priority “Sustainable and clean environment through cooperation”. The project will directly contribute to the objective (1.1) of the Programme “to increase number of visitors to the Programme area through improving and developing cultural and natural heritage objects, services and products”. The potential of cultural and natural heritage is not used to the full extent for sustainable economic growth, social, cultural and recreational societal needs. Local inhabitants and visitors are lack of information about the sustainable preservation and promotion of cultural and natural heritage objects. Seeking to promote the sustainable preservation, development and popularization of natural and cultural heritage objects, services and products, two nations must act together. 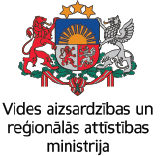 Main activities of project implementation will cover the territory of for Lithuanian regions (Klaipeda, Telsiai, Siauliai, Panevezys districts) and two Latvian regions (Kurzeme and Zemgale). Partners will implement activities that make regions more attractive, visible and charming to visit. The main objective of the project: to increase number of visitors to the Programme area by creating cross-border itinerary “Balts’ Road”. The main result of project: increased number of visitors in The Programme area to 15 percentages. Prepared feasibility study, which will include the evaluation of identity of ancient Balts’ tangible and intangible heritage and applicability for today’s society needs. Trainings for stakeholders will be organized in both countries of Cross Border Region. 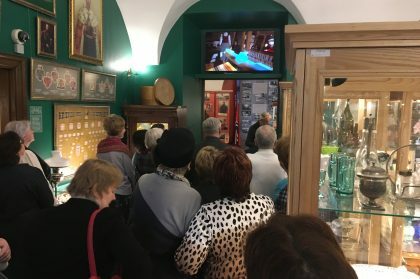 On January 18, 2019, the opening of virtual exposition “Wars and soldiers in Jelgava through time circles” and “Zemgale folk costume and its wearing traditions” took place and a seminar on the importance of virtual exhibitions in tourism development in Jelgava was organized. These expositions will allow visitors to look at different historical events and facts, offering to participate and engage themselves in different activities. The exposition “Wars and soldiers in Jelgava through time circles” provides an insight into the four wars – from the Livonian War to the Second World War. In four scenes with a total length of about twelve minutes, exposition visitor can go through four wars to see how the war equipment, the warrior’s clothing has changed. Another important benefit is the opportunity to see the scenes of war in the historical places of Jelgava, which today have changed and hardly van be recognized. For instance, using historical photographs the museum staff has managed to reconstruct Jelgava Market Square completely, whose atmosphere visitors can feel through virtual spectacles. This virtual exposition will be located in the War Hall on the 1st floor of the museum. While exposition “Zemgale folk costume and its wearing traditions” tells about the development of Zemgale folk costume and its wearing traditions. Putting virtual reality spectacles on exposition visitor may join skirt-weaving process where virtual image “the grandmother” introduces weaving work in process and provides information on the patterns, colours, as well as explains from what plants it is possible to acquire colours that have used for weaving the skirts. Recalling IV General Latvian Song and Music Festival, which took place in Jelgava in 1895, and the President of Jelgava Latvian Society, later President Jānis Čakste, did organizational arrangements, the virtual exhibition shows how J.Čakste addresses participants of the Song Festival and engages in other activities. This exhibition is located in the museum’s exhibition hall, which introduces the history of the city in the 19th century, when Jelgava was the centre of Kurzeme province. Before to proceed with official opening of virtual exhibitions, participants of the event were acquainted with reports prepared by specialists of tourism and cultural history area on the significance of virtual exhibitions in tourism development in Jelgava and gained practical experience when sharing experience on introducing innovative solutions and promoting cross-border cooperation in the tourism sector. 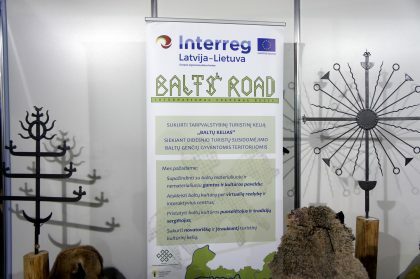 Virtual exhibitions have developed within the framework of Interreg V-A Latvian-Lithuanian Cross-Border Cooperation Program project “Cultural Tourism Route of International Importance “Balt’s Road”, N0 LLI-187. The aim of the project: is to increase the number of visitors in the program area (Latvia – Lithuania), promoting the development of tourism and creating a cultural tourism route of international importance. Total budget of the project: 763 402, 38 EUR, where EUR 648 891.96 (85%) is European Regional Fund funding and EUR 114 510, 38 EUR (15%) is National co-financing source (the state budget grant and partner contribution). Project budget for Jelgava City Council: 117 850, 10 EUR, where 100 172, 58 (85%) EUR is European Regional Fund funding, 5 892, 51 (5%) EUR is the State budget grant and 11 785, 01 EUR (10%) – institution’s contribution. 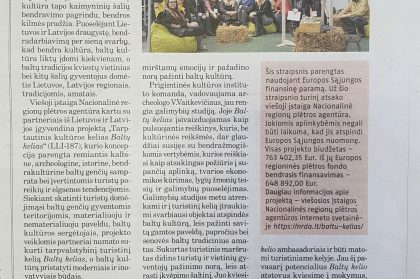 Sutelktomis Lietuvos ir Latvijos jėgomis pradedamas įgyvendinti Tarptautinio kultūros kelio „Baltų kelias“ projektas. Pagrindinis projekto tikslas – sukurti unikalų tarpvalstybinį turistinį „Baltų kelio“ maršrutą, kuris apjungtų jau egzistuojančius maršrutus bei naujai kuriamus traukos objektus, esančius Lietuvoje ir Latvijoje. Kuriant ir įgyvendinant esminę projekto idėją siekiama didinti Baltų kultūros pažinimą ir reprezentavimą, skatinti visus keliaujančius iš naujo pažinti regionus, juose įsikūrusius amatininkus, pasigrožėti unikalia gamta. Zemgalē, Tērvetes novadā strādājošā biedrība “Latviešu karavīrs” pabeigusi apjomīgu pētījumu par zemgaļu un sēļu vēsturi raksturojošiem tūrisma resursiem reģionā. Pētījums veikts ar Latvijas – Lietuvas pārrobežu sadarbības programmas 2014. – 2020. gadam projekta LLI-187 “Starptautiskais kultūras maršruts “Baltu ceļš”( “Balts Road”) atbalstu. Nations of Lithuania and Latvia are since long close neighbours that are connected by ancient Balts‘ culture. In order to foster and popularise this intrinsic culture the project International Cultural Route „Balts‘ Road“ is implemented. It aims to stimulate interest of locals and residents of other countries in regions of Lithuania and Latvia, in ancient traditions and crafts. On the 27th and 28th of April we participated in the exhibition „Days of Entrepreneurs in Zemgale“ where we presented the project to the society of Latvia for the first time. Every nation has its roots of origin, culture, heritage, customs shaped over centuries, values and created myths transmitted by ancestors. It is well known that germans associate their origin with Germanic peoples (teutons), scandinavians with vikings, and we Lithuanians togerther with Latvians are descendants of Balts. The project’s International Cultural Route “Balts’ Road” information workshop series is over. The series that started in February consisted of six information workshops in different regions of Lithuania. Tourism and authority representatives, managers of catering and accommodation establishments, education operators, community members and other concerned people from the regions that are in the programme’s territory (Klaipėda, Telšiai, Panevėžys, Kaunas, Utena and Šiauliai regions) were encouraged to actively participate in workshops, to get acquainted with the project carried out, its objectives, tasks performed and broaden their knowledge in the fields of tourism and balts’ cultural heritage. We are delighted to present a unique virtual reality film that reveals the Balts culture, the beauty and uniqueness of the Balts tribal areas, the wildlife and present intangible Balts culture heritage. Watch, enjoy and share! Nations of Lithuania and Latvia are since long close neighbours that are connected by ancient Balts culture. This culture is of unique and irreplaceable value. It is priceless because it laid the foundation for communication between neighbouring countries and a beginning of common origins. 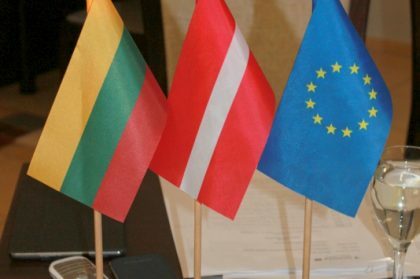 While promoting cross-border cooperation and relations between Lithuania and Latvia it is essential that common Balts culture would remain interesting to everyone and Balts traditions would encourage interest of local and foreign citizens in regions of Lithuania and Latvia, its traditions and crafts. International Trade and Achievement Exhibition “Siauliai 2017” was held in Siauliai on the 30th of November – 2nd of December. 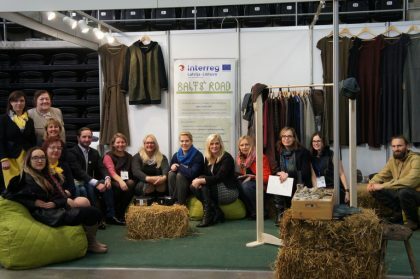 Companies, organizations and craftsmen from Lithuania and foreign countries presented their products, services and latest works. Annual event “Balts’ Unity Day 2017” will take place in Palanga town, 2017 September 23 rd. Seminar for area professionals within the project "International cultural route "Balt's Road""